Northbrook’s gardens are home to many different types of hostas and perennials, towering Maples, Ash and Walnut trees. A perfect spot to hold your ceremony with loads of great photo opportunities. 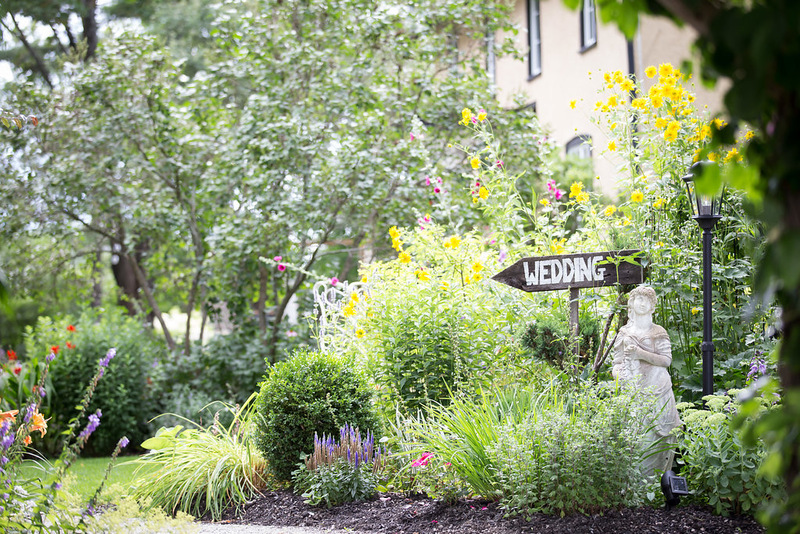 Our century home is the perfect space for you to enjoy your preparation for your wedding day. Allow our tent to provide the ambience for your reception. Later in the evening cozy up to the campfire overlooking our koi pond and waterfall. Our frame tent allows for a variety of events to be held on our estate. Open span means no poles inside with clear site lines to the property. You and your guests will feel as if they are outdoors while still under cover. 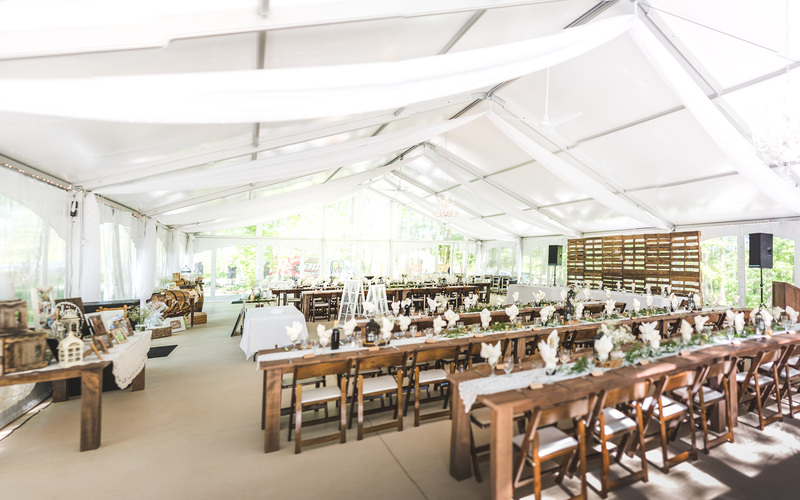 Northbrook Farm Weddings and Events provides staff to help with parking, white plastic folding chairs setup for you in location of your choice, microphone and amp for a PA system, six flushing toilets with wash stations. The venue is available for ceremonies only from Sunday to Thursday. In the event of poor weather your ceremony can be held in our elegant frame tent. 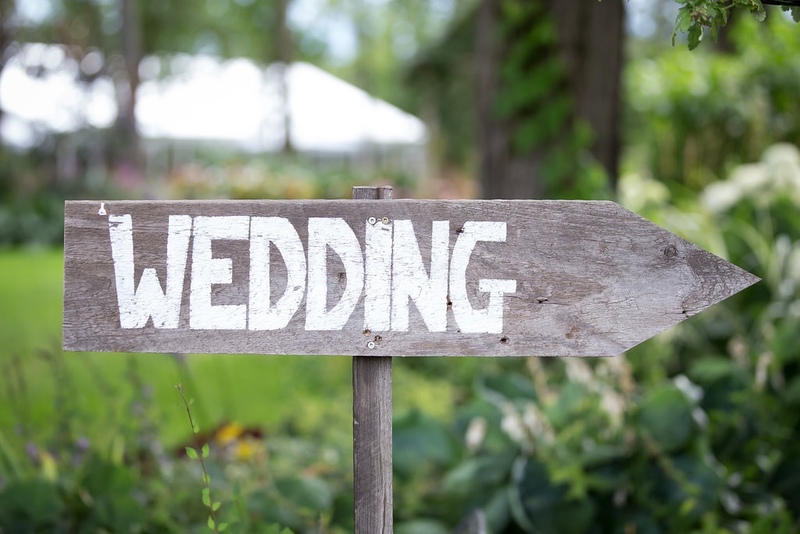 We can accommodate up to 150 guests to help you celebrate your big day. Full Access to the grounds (not including the house) at 9 AM the morning of the ceremony. Ashtrays, garbage and recycling bins located around the venue. We made the decision to have only one wedding and reception per weekend to allow our couples time to enjoy the whole experience. 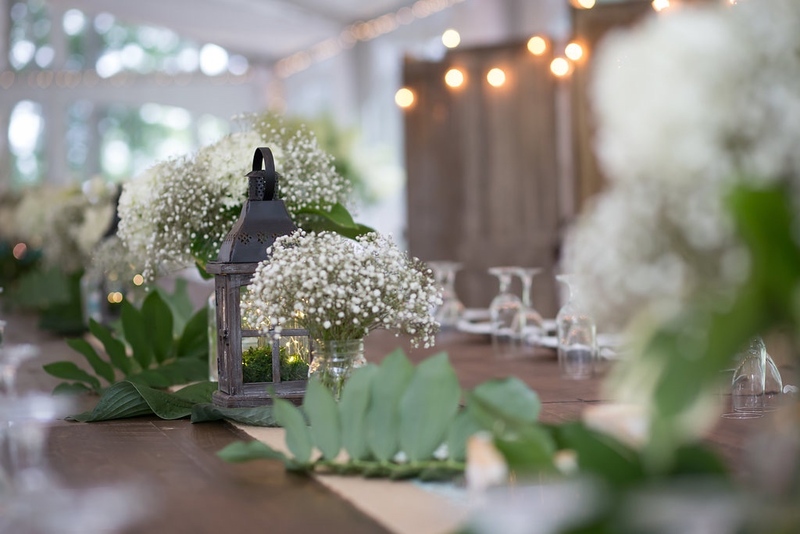 Couples are welcome to begin setup Friday morning at 9am to add your decor to the tent that is beautifully lit with chandeliers and fabric swags with fairy lights. Rustic harvest tables with folding hardwood chairs, bar and podium are included. Receptions conclude at 12:00am. Northbrook looks after cleanup for you and your only responsibility will be to remove your decor on Sunday by 11am. Full access to the grounds (not including the house) beginning at 9 AM the day prior to the wedding, Saturday to 12 am, Sunday to 11am. Ashtrays, garbage and recycling bins. Campfire available, weather permitting. Northbrook staff will tend to the fire. We are excited to be able to offer our venue during the week for a variety of occasions including corporate picnics or team building, anniversary parties and celebrations of life. Full access to the grounds (not including the house) beginning at 9 AM day of with the exception of Sunday. If you would like more information on the services Northbrook Farm provides, please contact us.